During my recent visit to London, I stayed with my cousin who used to take care of my siblings and me when we had little weekend breaks during the school year in boarding school. She would spoil us with her wonderful cooking, from French crepes for breakfast to aromatic Malaysian curries for dinner, interspersed by a trip to a good Chinese restaurant. She is equally an avid foodie like I am, and our meeting-ups are filled with conversations constantly revolving around the topic of gastronomy, to which her sons are perplexed about. So, on this last trip to the UK, she asked me to reserve a day to make a day-trip to Calais, France. Having driven with her and another couple for an hour-and-a-half to the white cliffs of Dover, we took a ferry that transported us smoothly across the English Channel sailing for around an hour (Hovercrafts are just too choppy of a ride, albeit faster). 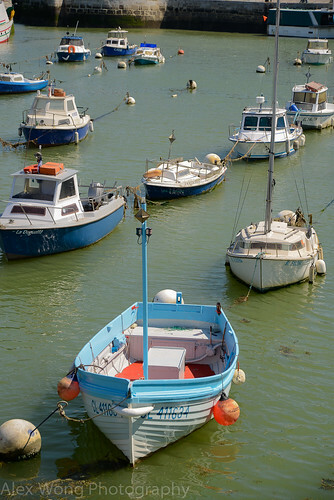 After getting off the boat, we immediately used GPS to search for Le Channel, a Michelin-worthy restaurant hugging the French coast not far away from the port that we disembarked from. 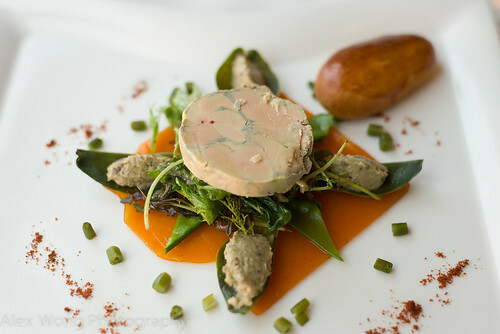 Since we had arrived earlier than our reservation time, we walked around parts of the city while our anticipation for fine French cuisine was stirring in our minds and the increasingly hungry bellies. At 12:30 p.m., the time of our reservation, we walked into the restaurant and took our seats by the expansive window. I will write this review starting with the photos and the food description of the various diners’ dishes, followed by the review. 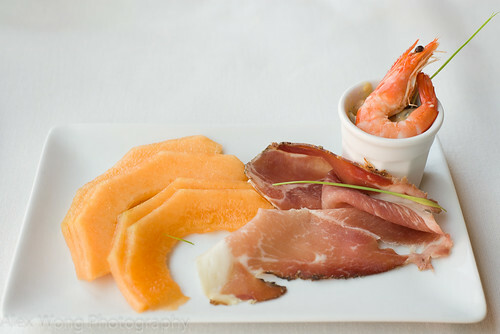 Amuse Bouche: Cantaloupe, Iberian Ham, Shrimp, and Russian Vegetable Salad. 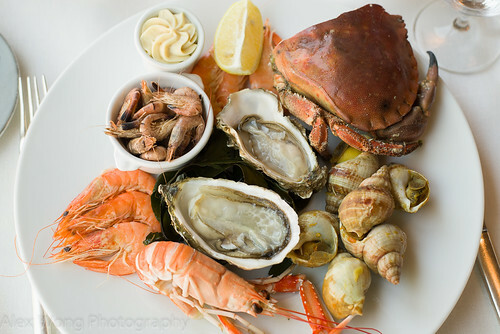 First Course 1: Fruits de Mer – Crab, Shrimp, Scampi, Welts, Oysters, and Brown Shrimp. First Course 2: Foie Gras with Black Salt and Armagnac, Eggplant and Buffalo Mozzarella Caviar, Tender Artichoke Hearts, Yellow Tomato Gelee, Brioche and Cooked Vegetables. 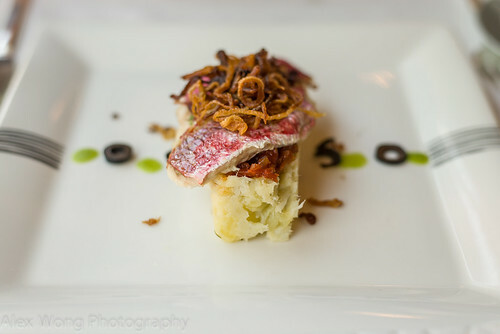 Second Course 1: Oven Roasted Red Mullet Fillet, Basque Red Pepper Sauce, Fried White Onions. 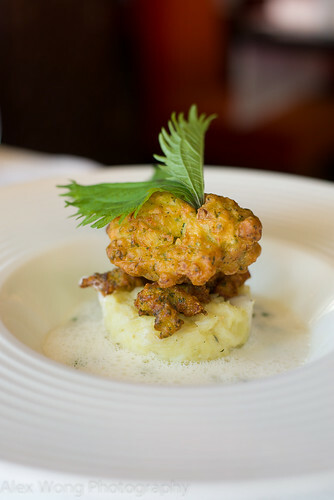 Second Course 2: Salted Cod Brandade, Sea Bass Beignets, Fresh Peas, Creamed Emulsion of Cooking Juices. 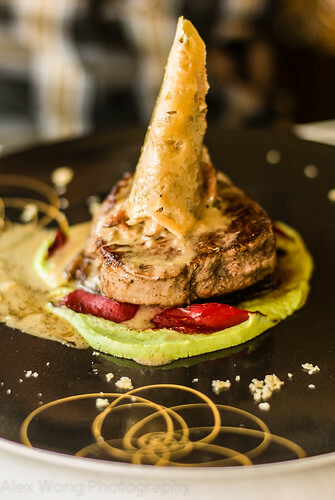 Second Course 3: Skillet Steak with Raw Butter, Smoked Eggplant Rounds, Parmesan Cone with Mushrooms, Avocado Sauce. 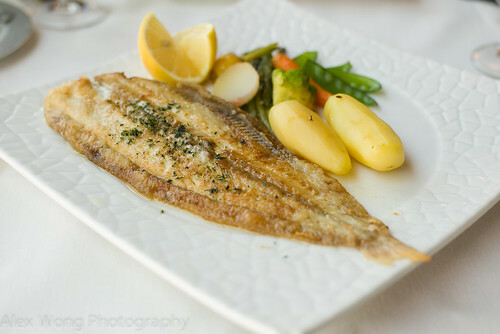 Second Course 4: Sole Murniere, Seasonal Vegetables. 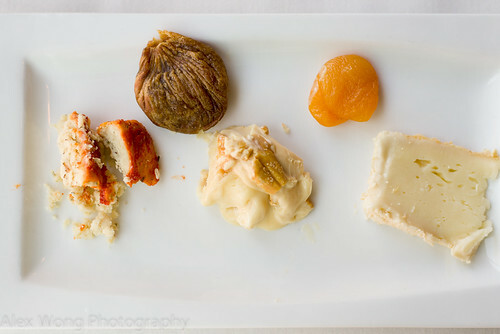 Cheese and Dried Fruit Plate – the waiter’s recommendation of three of the strongest cheeses in the house. 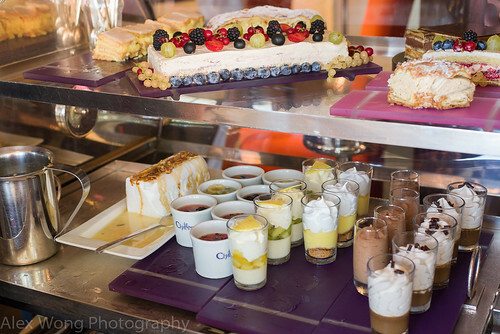 Chariot de Dessert: Mille Feuille, Opera, Multi Fruits, Paris Brest, Iles Flottantes, French Trifles, Mousse de Chocolat, Mousse de Café. 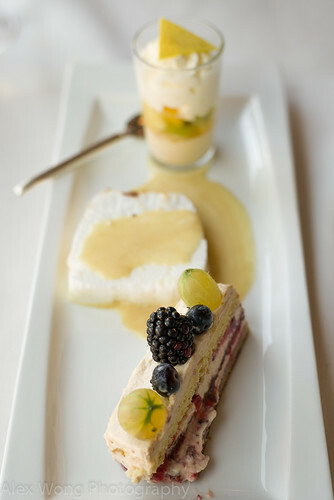 Dessert Plate: Multi Fruits, Iles Flottantes, French Trifle. As the saying goes, “A picture speaks a thousand words” or in this case, many photos. Looking at them, they represent what the true experience was about: top-quality fresh ingredients as in the huge starter of Fruits de Mer, exceptional cooking, creative pairing of ingredients as in the Avocado Sauce and Smoked Eggplant with the Steak, well-seasoned components as in the heavenly Potatoes cooked in stock with my Sole Murniere and the Basque Red Pepper Sauce with the Red Mullet, the eye-opening variety in the menu with the incredible array of Desserts and Cheeses, and the incredible value for this to-die-for meal at this high fine dining level (31 Euros and 39 Euros). The décor was impeccable yet not intimidating, service was efficient and a bit cheeky at times, and the ambience conducive to truly enjoying the experience and savoring the delectable dishes without being pressured or rushed – we took 3 hours (aren’t we supposed to, anyway?). 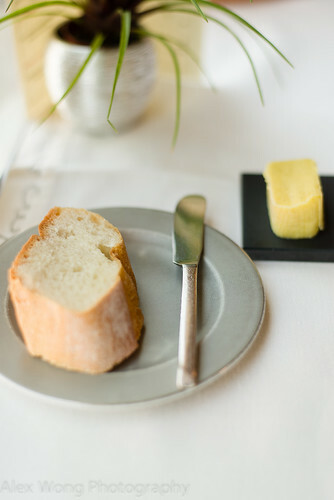 All the diners at my table were constantly effusive about their own selections with the exception of a couple who found some of the cheeses way too strong in smell and flavor to be palatable. I enjoyed every crumble of strong cheese that I would not get to taste in the US due to pasteurization laws, and the dried fig and apricot were the perfect foil and palate relief to the assertive dairy. 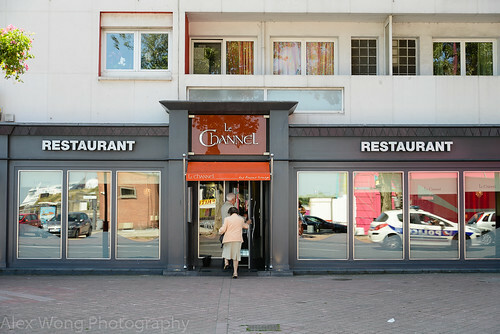 Having lunch at Le Channel was truly a highlight for me and I am thankful to my cousin for organizing this wonderful gastronomic trip. Interestingly, we all walked away from the table well-sated on my levels, yet we were not waddling out of there despite the quantity of food we had ingested. I tagged along my cousin to the local Hypermarket where she stocked up on all the local produce to bring back to her home in London. Walking around, I couldn’t help but marvel at the quality and variety of ingredients that inspire the French to appreciate good cooking and make food an integral part of their culture. A simple meal on the trip back of French Baquette, Mushroom-scented Brie, and French Ham was a good end to this marvelous trip that is well-imbedded in this reviewer’s mind, and it will be replayed over and over again until the grove is worn down.